Magnetoelectric (ME) composites are biphasic materials consisting of piezoelectric and piezomagnetic materials as the participating constituents. These ME composites when placed under external magnetic field show electrical polarization (ME output). This ME coupling is mediated by mechanical stress. In the present study, we have synthesized particulate composites of Ni0.8Cu0.2Fe2O4 and Ba0.8Sr0.2TiO3 using conventional ceramic method. 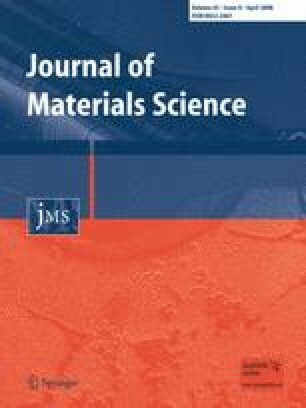 The XRD identifications showed that the sintered ceramics retained the presence of distinct ferroelectric and ferrite phases. The dielectric constant was determined as a function of temperature (room temperature to 650 °C) at different test frequencies. The DC resistivity was studied as a function of temperature. The measured ME response, dielectric constant, and resistivity demonstrated strong dependence on the volume fraction of Ni0.8Cu0.2Fe2O4 in the composite. The ME voltage coefficient strongly depends on the resistivity of the composites. The work was carried out with financial assistance from UGC, New Delhi under UGC-DRS- II Program.